Jaime Homes is a Partner of SingerLewak LLP, Certified Public Accountants & Management Consultants. He has been practicing as an accountant for over 30 years, in public accounting as an auditor, in private industry, and as a "forensic accountant." 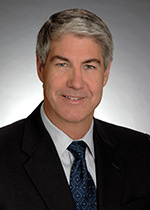 He has been qualified as an expert witness at trial or arbitration approximately 200 times in Federal Court and the Superior Courts of Orange, Los Angeles, Riverside, San Bernardino and San Diego, Ventura and Santa Clara Counties and consulted on hundreds of litigation matters in the areas of Business Valuation, Diminished Goodwill, Lost Profits, Loss of Earnings, Accountings for Trusts, Shareholders and Partnerships, Alter Ego Liability, Single Enterprise Liability, Fraud, Taxes, Wage and Hour Claims, Family Law and the Standard of Care of Accountants. In addition, he has consulted on matters involving Mergers and Acquisitions and has prepared Business Valuations for use in estate tax returns. He has also testified in matters involving trust disputes. Hundreds of businesses have been valued for litigation matters, for use in estate and gift tax returns and as a part of merger and acquisition transactions. The businesses have been closely held corporations, partnerships and limited liability companies ranging from under $1 million in sales to over $100 million in sales. The industries analyzed have crossed the spectrum and generally encompass development, personal service, retail, distribution and manufacturing. Jaime has taught courses and given lectures at the University of Redlands, for Lorman Seminars, Orange County Trial Lawyers Association, California Society of CPAs, as well as, various law firms. He is a published author of “Pierce or Protect the Veil” (2001) and has numerous print articles featured in the ABTL newsletter. He is active in the community as a Board Member for Nonprofit organizations and director of the Newport Harbor High School Alumni Basketball Tournament, 2000-2008. Jaime earned his BS in quantitative decisions analysis from University of the Redlands in 1977. A certified public accountant since 1983, he became an Attorney at law in the State of California in 1995, the same year he achieved his JD with an emphasis in taxation from Western State University. Jaime became a certified valuation analyst in 2003, and was since accredited in business valuation in 2006, and certified in financial forensics in 2008.